So glad we found Eddie after another broker didn’t stay in touch with us. From the moment we contacted him, he was always available and very helpful! It was a pleasure to work with him . He worked quite efficiently, and got all the documents to us in a timely manner. Of course we’ll recommend him if we have a friend who is looking for property in Pagosa. Thank you all for being there for us! My husband and I recently listed and sold our home through Galles Properties. We were looking for a reputable company that we felt would give us good representation, of course. We chose Galles being familiar with almost all the agents and thinking highly of them all including the owner/brokers. 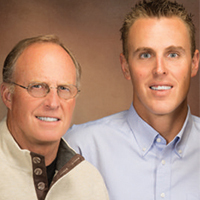 We chose the Keyes team to work with and more specifically Eddie Keyes. We felt that he did an outstanding job in the timing of the listing, as we were leaning toward waiting to list, and he suggest immediate listing with which we were fine! We had an immediate interest and within 2 wks., had an offer which we accepted! Eddie was very prompt, professional and went the extra mile (considering we were out of state ) during the process. Upon closing, I asked Eddie if I might write a review for him and the great experience we had with him. I did so on the Galles website in hopes other prospective buyers might see this and feel the Keyes might be the ones to represent them as well! What a great experience working with Eddie Keyes! We wanted that special vacation home and Eddie was a wealth of information and patient. It took months and months and Eddie was there with us the whole time. Eddie had everything lined up for when we were in town and once we knew we had the right place he saw it through to the very end at closing. He is knowledgable, friendly, prompt and courteous and we would certainly recommend! The best way to describe our real estate experience with Eddie is that he went way out of his way to make our buying and selling possible, even doing the unexpected. To illustrate, on the day of our move to Pagosa Springs my wife and I arrived during a Christmas blizzard. I drove as carefully as I could but the storm got the best of me as I managed to jackknife my truck and trailer in an intersection just after sliding past my turnoff. Since I did not know anyone in the area I called Eddie to help me find a tow truck. Instead, he came in his own truck and helped me untangle my mess and get us to our new house. Unknown to us, Eddie had come by earlier to welcome us with gifts. He had started the fireplace and left a bottle of wine with two glasses and a welcome card. Our snowy “home coming” officially ended our two-month experience of purchasing our new house through Eddie. It was actually the crowning event. Since we lived 1000 miles away, the challenges proved more difficult in the beginning. But all during the in-between time of contracts and deadlines, Eddie helped us manage our red-tape affairs with daily updates, paperwork, faxes, e-signings, and especially encouragement. Besides being our realtor, he has become our friend. I’d like to recommend and thank Eddie Keyes for his help in finding and purchasing our vacation home in Pagosa Springs. Eddie’s relaxed, friendly demeanor made the process enjoyable and stress-free. We appreciated Eddie’s willingness to view multiple properties without any pressure. He let us decide what was right for us. We toured many many properties. His understanding of the area helped us learn more about our options. In addition, when an earlier deal was falling through, Eddie kept our interests at heart and worked to make sure we kept things in order. This ensured that we would not lose our earnest money. It was a pleasure to work with Eddie and we know in the future we will look to him should we have real estate needs.